Setting aside the proper time to mourn and memorialize your pet is an essential part of the healing process. All too often the death of a pet is met with ambivalence from friends, family and employers, but the grief, however disenfranchised, is very real. When earlier this year my mother had to put down our eight-year-old sheltie, Rocky, after a sudden lapse in health, the vividness of our shared loss surprised us all. He had been a true companion, bringing us joy and unconditional love throughout his life. This experience highlighted for me the importance of acknowledging the weight of such a loss, not only as pets, but as dear members of our families. Here are some tips to get you (or a friend in a similar position) through the difficult times ahead. The pain of losing a companion is devastating, and although it can be difficult to face, it's important to carve out proper time to mourn. Sometimes we want to turn away from the grief and keep up appearances, but your to-do list can wait and your friends and family are there to support you in this difficult time. There may be people in your circle, however, who are insensitive to your loss because they don't understand what you're going through. They may try to diminish how you're feeling and suggest that you "just get a new one"; well-meaning friends, know that this is not a solution, and can come off as insensitive. Rest assured that there is a whole community of pet parents who are experiencing this pain too, and there are support groups and counseling services especially for you. For instance, The Winnipeg Humane Society has a pet loss support line where you can speak to a grief counsellor. Be kind to yourself, find the support you need, and remember that your sadness is not a weakness but a rite of passage. It will get better with time; suppressing your feelings in the beginning may only increase stress, anxiety and anger down the road. When a pet passes on, they don't just disappear, they will always have a "place" in the family. Finding a way to honour them is an important part of a healthy healing process. Memorializing your pet can bring you the closure you need and provide a sweet reminder of the good things they brought to your life. Did your pet have a beloved toy? A personalized collar or a favourite spot to curl up? Reflect on these details and take the time create a little memorial just for them. 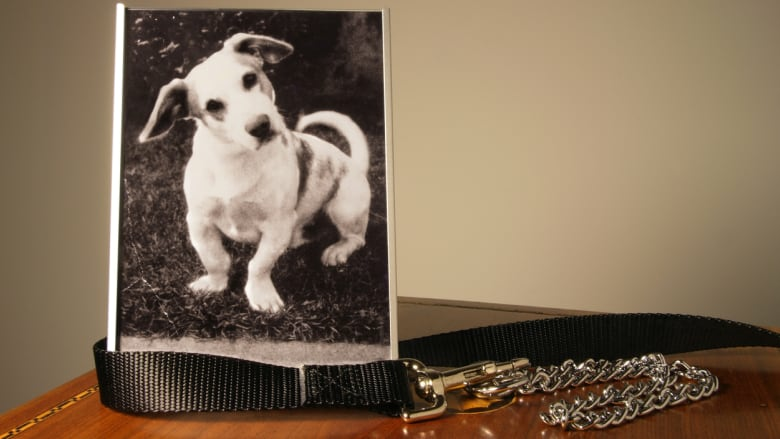 Some pet parents choose to display their personal objects in a shadow box, to scatter ashes along a much traveled path, or plant a memorial garden. Companies such as BC-based Spirit of Life Memorial Products can send you paw print kits, while Ontario-based aftercare facility Gateway allows you to make a free online memorial with photos. Whether it be a physical place or an online tribute, designate somewhere specific to revisit your time together—a place you can go to reflect and feel connected to your pet moving forward. Most employers in Canada don't offer paid bereavement leave after the loss of a pet, despite the emotional toll it takes. Some, like Shoppers Drug Mart, are giving employees time off on a case-by-case basis. Victoria-based counsellor and therapist Corrinne Allyson spoke to CBC in 2016, asserting that "in many cases, an employee can't perform their best after a loss of a pet. They're not focused. They're just not fully there and need the time to grieve in order to be their best self again". Dr. Lianna Titcombe, director for the Pet Loss Support Group of Ottawa, added that the mourners coming through her doors "see the loss of their pet as significant as the loss of a spouse and many relate it to like losing a child, especially the ones who do not have human children." It may be tempting to lie about your pet's death to the children in your family, but while white lies may seem like the kindest approach, consider it instead an opportunity to teach your children a valuable lesson about mortality and the grieving process. Geneviève Schreier of the Neufeld Institute in Vancouver encourages parents to be patient: "Remember that grief is a vulnerable emotion and can take time and room to surface," she advises. "It will often be buried under frustration and other messy emotions which need space to be expressed too." Kids understand more than we think, and they will often use play, perhaps counterintuitively, to process loss. Encourage them to mourn with you through a creative outlet, like a goodbye letter or some artwork for your pet's memorial. "Ceremony and ritual can be helpful too, and is useful to revisit with your children," says Schreier. One way to do so is by navigating the subject of death through storytime. Luckily, there is a plethora of age-appropriate books on the subject. Even in your role as a parent, your young ones are an integral part of your support system. When writing for CBC about the passing of a beloved family cat last year, Erik Missio reflected on the unexpected healing intrinsic to unpacking difficult concepts with children. "I found answering these questions, breaking out the mysteries of mortality in kid-sized portions, helped me process things for myself, too. Being able to tell my children I was still a little down—and reminding them this was OK—also made me feel better." There are many free resources available online and in-person for those going through pet bereavement. You may encounter feelings of secondary loss as well, when suddenly disconnected from activities you did together, or from the larger pet owner community. Remember that you are still a part of those communities, and that they are there to support you. Invite other members and their pets to a memorial service, or pay a visit to the old gathering spots to reminisce and to distribute parting treats on behalf of your late pet. In these difficult times, it's important to draw strength from your community and remember to pay it forward when your neighbour is in need. Chloe Rose Stuart-Ulin (@chloerosewrites) is a journalist and editor based in Montréal. Her previous publications on tech security, gender politics, and finance have appeared in Quartz, CBC, Ha'aretz, Lilith, and The Syrup Trap. Pet cloning is here. So, would you clone your aging pupper?